Photos from the Rockwell Business and Social Gathering 2018 may be found at the link below! Protocol requires that I begin this speech by thanking Sean Tobin for giving me the opportunity to interrupt your enjoyment and give you cause you to regret your decision to attend. Thank you Sean. 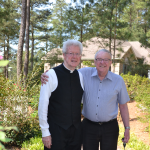 To those of you who do not know me – the majority of you I am sure – my name is Maurice Collins. I did a full 5 year stretch (as it was then in the pre-TY days) as a boarder in Rockwell between 1976 and 1981 - to be precise between the late afternoon of Sunday the 5 September 1976, arriving in Rockwell after stopping in Cahir to watch Cork beat Wexford 2-21 to 4-11 in the All-Ireland Hurling final, the first of Cork’s last three-in-row and Jimmy Barry Murphy’s first Senior Hurling Medal (well-deserved too, given his contribution of four points from play) – and Thursday 25 June 1981 after the Leaving certificate physics paper. Sean served the same time and it's a testament to the phenomenon of fading memory that he thought I was somehow a worthy candidate to address you today. Elton John and Kiki Dee sang that “right from the start I gave you my heart”, perhaps reflecting the platonic ideal of the appropriate relationship between alma mater and pupil. However, 5 years later in June 1981 the charts perhaps reflected the stresses and strains of maintaining such a relationship over time: the No 1 in Ireland when I left Rockwell was Shakin’ Stevens’ “You drive me crazy”. 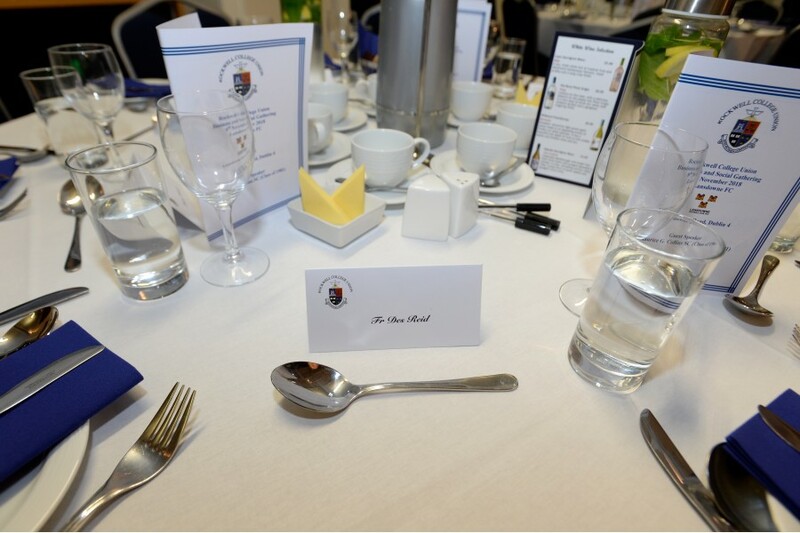 Allow me to confess immediately that I have not attended one of these PPU business lunches previously. I did attend a “20 years out” dinner in the Conrad in 2001 but that event was brought to a premature end when the bar closed strictly at 11.30 (or whatever was closing time at the time). In this respect, no doubt, lunch is a better option, even if a “lunch” commencing at 4.30 – a heresy that certainly would not have been tolerated in the Rockwell of my time. Without suggesting that boarding in Rockwell was the equivalent of living in a gulag, perhaps my most visceral memories of my time at school relate to food. The Agricultural and Hotel/Catering schools have since closed but were going strong while I was in there. Rockwell should have been a locavore’s paradise, a virtuous cycle of production, preparation and consumption. Unfortunately, however, reality fell painfully short. There was a special – and unforgettable - quality of deeply penetrating misery to long winter Sundays spent in Rockwell – particularly in weather such as the weather outside now - wrapped in a rug, slowly counting down the clock to tea, offering a concrete and painful insight into the relativity of time. I am a lawyer and, unsurprisingly, Rockwell has always had a close connection with the law. Wikipedia lists a number of legal luminaries who are past pupils, most notably the former Chief Justice John Murray. I am proud of the fact that, for a short period of time, I myself featured in that section of the Rockwell entry before being edited out of existence by some anonymous contributor. So I appear before you today as someone who was once – but is no longer – a notable past pupil in the world of the law. 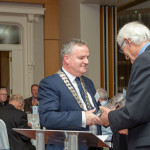 I can, however, console myself by observing that David Keane – who has been a friend of mine since meeting him in Rockwell in 1976 and who is a Judge of the High Court here in Dublin – similarly lacks sufficient distinction to warrant inclusion in that obviously highly-select group. I had planned to be able to regale you with a narrative of Rockwell and the law but the only judgment that I was able to find where Rockwell was even mentioned was a decision involving the no doubt important but nonetheless less than wholly exhilarating issue of whether Gurteen Agricultural College - established by the Methodist Church in 1946 – was entitled to the benefit of the Scientific Societies Act 1843 and thus exempt from rates. That being so, I am forced to take a different tack. 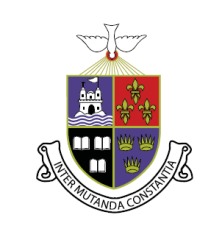 Rockwell’s motto is Inter Mutanda Constantia, constancy amidst change. That sentiment has echoes of the motto of the King’s Inns, Nolumus mutari which, as I understand it (and my last Latin lesson was with the late Fr Lavelle in 1979) can be translated either as “we do not wish to change” or “we do not wish to be changed”. But forces of change have always been on the move around Rockwell and it has never been (and could never be) immune to such forces. The Government has dubbed this “the decade of centenaries” – a decade that started in 2012 and which, on that basis, we are more than half-way through. Oddly, that timeframe seems to exclude the ending of the Civil War in 1923 which, one might have thought, is a keystone in the history of the State. Rockwell had close connections with the Easter Rising. Thomas McDonagh – who between 1894 and 1901 had been a pupil and then a teacher in training for admission to the Holy Ghost Order– was one of the signatories of the Proclamation and was of course executed in the aftermath of the Rising. As my former history teacher, the late Sean O’ Donnell – a serious and committed teacher with, I remember, a huge passion for classical music - recounts in his history of Rockwell (Rockwell College 1864-2014) the college had many other links with the Rising, including the arrest and internment of one of its teachers, Seamus O’ Neill. According to O’ Donnell, he was held in Lewes Prison, rather than in Frongoch. If he had been held in Frongoch, it is possible that he would have met my Grand-uncle, Michael Collins, who was interned there after the Rising. As a personal aside, a great friend of Michael Collins, Sean Hurley from Drinagh, who attended Clonakilty Boys National School with him (I attended the same school) also took part in the Rising. He was shot on Church Street, near the Four Courts and died in the Richmond Hospital - the only Cork man killed in the Rising. Sean Hurley’s sister Catherine was my grandmother. She died in February 1921, shortly after giving birth to my father, Liam Collins. In April of the same year the family home at Woodfield was burned by the Essex Regiment; family lore has it that my father had to be passed through a window to safety but that may be an embellishment. The 100th anniversary of the meeting of the First Dáil in the Mansion House on 21 January 1919 is less than 3 months away. In the absence (because of imprisonment) of Eamon de Valera (who of course taught Maths in Rockwell between 1903 and 1905) and Arthur Griffith, that meeting was presided over by Cathal Brugha, whose son Ruari attended Rockwell for a time where, according to his obituary in the Irish Times, “he excelled at gymnastics”. Also absent from the Mansion House was Pierce McCan, a former Rockwell pupil who had been elected in the December 1918 General Election for the Tipperary East constituency while imprisoned in Gloucester Prison, having been arrested earlier in 1918 for his alleged role in the “German plot”. O’ Donnell notes that the Rockwell Journal – at this stage being recorded as Gaeilge – showed enthusiasm for the growth of Sinn Fein in general and for McCan’s election in particular. The mood, he notes, was more sombre when McCan died from flu (the infamous influenza that killed millions in the aftermath of WWI) in March 1919. A measure of his standing is that when his coffin arrived in Westland Row it was carried to the hearse by (amongst others) Harry Boland and Michael Collins and this was repeated when, following mass in the Pro-Cathedral, the coffin was put on a train in Heuston for the journey to Thurles and onward to burial in Dualla where the oration was delivered by Cathal Brugha and where the priests of Rockwell were much in attendance. On the same day as the inaugural meeting of the First Dáil, the opening shots of the War of Independence were fired at Soloheadbeg, which (so Google Maps says) is less than 25 km to the North West of Rockwell. Two RIC men, Constables O’ Connell and McDonnell were killed that day, becoming the first victims of a period of intense conflict in the State that reached beyond the end of the War of Independence, into a Civil War that did end until more than 4 years later, in May 1923. Dan Breen was one of the volunteers involved in the Soloheadbeg ambush. Unsurprisingly, Rockwell was not immune to the political and social turbulence of the time. There was intense military activity in the locality. 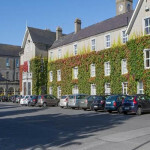 Seamus King – who was on the teaching staff when I was there– recounts that the Journal records that on 12 September 1920 Seamus O’ Neill was again detained and that, 8 days later, the College itself was raided by a “Flying Column of Lancers, numbering from 60 to 100” under the command of the “very courteous” Captain de Burgh who assured the Superior that his only objective was to search Mr O’ Neill’s room. Two Irish Volunteer Manuals were found under Mr O’ Neill’s mattress and we are told that these were seized along with “Fr Colgan’s fowling piece and the farmyard gun” both found in Fr Colgan’s room and removed “although he had a permit for the former”. The Journal also records the death on hunger strike of Terence McSwiney on 25 October 1920, whose only daughter went on to marry Ruari Brugha. It was not, however, all gloom. While there was no Midnight Mass in the College on 24 December 1920 “owing to the disturbed state of the county”, the Journal records that on Christmas Day (1920) “the Community had coffee vieux style in the parlour and some songs.” Unfortunately, Seamus King does not explain – and I have not been able to discover – the particular characteristics of “coffee vieux style” but it was not in any event on offer when I was a student. Many of you will remember the moving statue phenomenon that began in Ballinspittle, County Cork in 1985 and soon spread through the whole country. Well in August/September 1920 statues in the Templemore area began to shed tears of blood. Templemore had suffered reprisal attacks on 16 August 1920 following the killing of an RIC District Inspector by the IRA and locals credited the bleeding statutes with saving the town from further destruction. Rockwell’s Journal records that Fr Leen (who was Dean of Discipline and no doubt a good man for the job) visited Templemore and “while he was deeply impressed by the faith displayed by the people, and while testifying to the presence on the statutes of what appeared to be dried blood, he reserved judgment as to the nature and origin of the phenomenon”. That was good judgment on his part, as the Journal goes on to record an entry from the following May (1921) to the effect that “the Archbishop” had got from the central character involved – a farm labourer called James Walsh – a “signed confession” which acknowledged that the miracles were all a hoax. In fact, what appears to have occurred is that a local IRA commander became concerned with the impact of all this religious fervour on the men in his command - according to an article in History Ireland pilgrims had begun to lavishly tip the IRA men who were effectively policing the crowds, with the result (so it is said) that volunteers who had previously been “abstemious and enthusiastic …’took to the drink and began to forget that they were engaged in a life and death struggle for the country’s freedom’” – and sought the intervention of Michael Collins who in turn ordered Dan Breen to contact Mr Walsh. Walsh was taken to Dublin and interrogated by Breen who reported back to Collins that, in his opinion, the apparitions and miracles were fakes. The IRA resumed its campaign and life in Templemore reverted to “normal”. Sean O’ Donnell tells us that there was “a feeling of relief in Rockwell when the Anglo-Irish Treaty was signed” with a half-day being allowed to pupils in celebration. 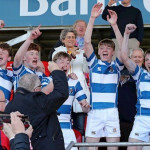 That sense of celebration did not endure in the face of the developing civil war, with former pupils (and teachers) involved on each side, including Fionan Lynch on the Pro-Treaty side, notable for being one of the few other entries in Wikipedia’s “Legal luminaries of Rockwell”. At least as I remember it, very little of what I have just told you was known to me, or told to me, while I was in Rockwell. That was not strange or unusual; the wounds of the Civil War were far from healed and retrospectively affected everyone’s perspective on the events that had preceded it. As well as that – and this was a very powerful factor in the public narrative – the Troubles (as they were rather euphemistically referred to) were at their height in Northern Ireland and there was a strong sense that to explore our revolutionary history was in itself a quasi-subversive activity or at least ran the risk of giving succour to subversives. Things are, of course, different now. Remembrance, if not celebration, is an official creed, though it remains to be seen whether the challenges of remembering the War of Independence and, especially, the Civil War can be handled as adroitly as was the centenary of the Rising. As I mentioned, Michael Collins was my granduncle. He had of course been a member of the delegation that negotiated and signed the Treaty and was energetic and eloquent in support of it in the ratification debates in Dáil Éireann in December 1921 & January 1922 and in the subsequent election campaign leading to the election of the Third Dáil in June 1922. Growing up in the household that I did, it will be no surprise to hear that Michael Collins’ fundamental thesis – that the Treaty gave us “freedom, not the ultimate freedom that all nations desire … but the freedom to achieve it” – had the status of a Euclidean theorem, proved to the point of demonstration by the changes to Ireland’s constitutional position achieved in the period after 1922 (primarily, it should be said, by successive de Valera governments) and culminating in the adoption of our present Constitution in 1937 and the enactment of the Republic of Ireland Act in 1948. It seems to me now that the events of 1919-1923 – and especially the divisions on the Treaty that led to the Civil War – warrant more nuanced assessment and it appears possible to maintain that Collins was essentially right while at the same time recognising the extent to which many of the concerns of those opposed to the Treaty as to the type of polity that would emerge from it might be said to have been vindicated by the subsequent evolution of the State into the conservation and confessional state that it became, the consequences of which we are still striving to satisfactorily resolve. Hopefully, Rockwell will have the confidence to remember its involvement in these events in all their complexity, in colour rather than in black and white and proud of its place in this history. Anyway, it is clear that Rockwell has continued to change and to adapt since my time there. Boarders are now, I understand, a minority species, though I note with retrospective envy that 6th year boarders have their own rooms – an unheard of luxury in my time. The school is of course co-educational – a change beyond our wildest fantasy when we were students - and it now has a female principal. Saturday classes have been abandoned. 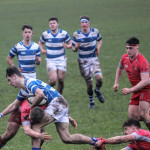 Given our location, it is also appropriate to record Rockwell’s welcome return to winning ways in rugby (my years at Rockwell were marked by a failure to win a single Senior or Junior Cup).